Thieves have stolen precious Indian jewels from the famed Al Thani Collection which were on display at Venice’s Doge’s Palace. The jewels were taken from a case on display at the ‘Treasures of the Mughals and Maharaja’ show, which had been due to close on Wednesday night. 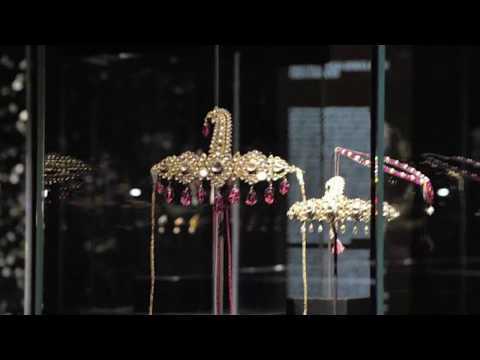 Some 270 Indian gems and jewels, dating back to between the 16th and 20th centuries and belonging to the Al Thani collection, had been brought together for the exhibit at the Doge’s Palace, which was once the residence of Venice’s rulers. Police are trying to ascertain how the jewels were stolen. According to initial reports, two people broke into the case and were able to make a getaway by blending into the crowd of visitors. “Experts from Rome police were called immediately to shed some light on the theft,” Venice police commissioner Vito Gagliardi told Corriere. The jewels stolen, reported to include a brooch and a pair of earrings, are estimated to be worth €30,000.